Deposit over £10 using the code 20FW. Wager the total value of the spins 50 times and only after that, you can cash out a maximum of £20. Such great offer can only be found here. 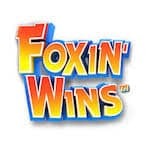 Claim yours and enjoy your time at this famous UK gaming website!